Describing Filipino food is similar to discussing the film Inception – because of the varying layers that comprises it. When you think you figured out the overall character of Filipino cuisine, venturing into another province will once again introduce you to another strata of taste, texture and smell – essential food traits that exist distinctly in each regions of the Philippines. 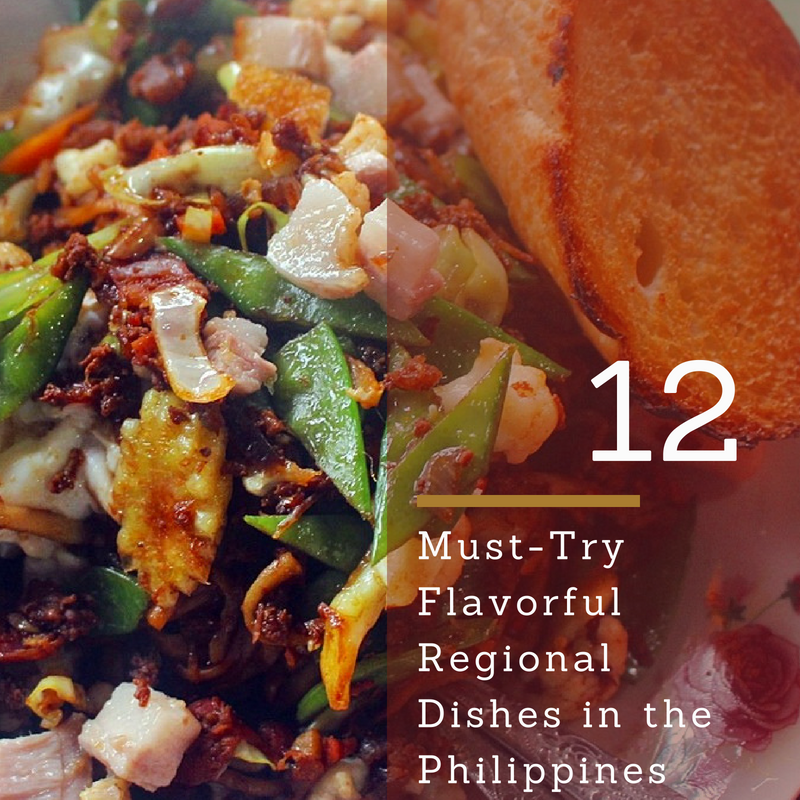 To give you an idea of the diversity of Filipino cuisine, here are some appetizing provincial gastronomies being prepared and served all over the country – to which I and these foodies whom I asked for recommendation, echoes a must-try endorsement. 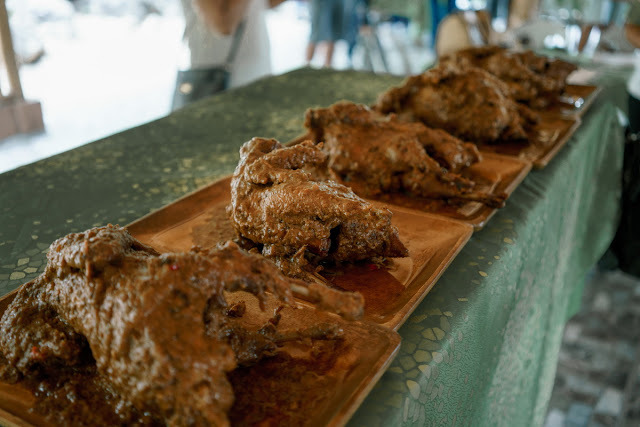 Bathed in mysterious sauce at first glance, Tiniim na Manok can be prepared in different ways, but this one from Nueva Ecija was served with a thick peanut-flavored paste and a whole chicken slowly simmered and marinated with pineapple juice. Shallots, ginger, pepper, garlic, salt and other spices are then added to create a wonderful fusion of opulent taste. 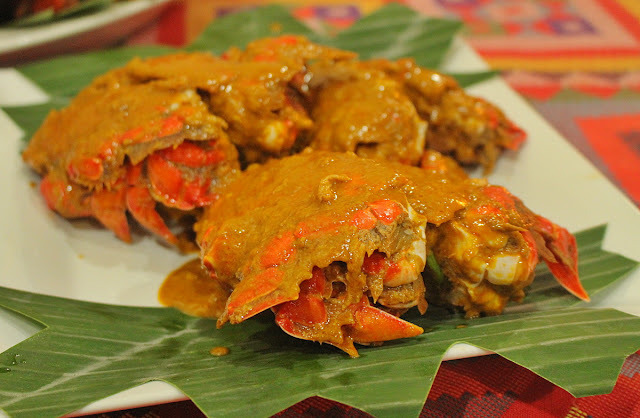 A perfect combo: Curacha crabs and Alavar sauce. While I have feasted on Curacha – a spanner crab, before in other places such as Calayan Island, Zamboanga’s version of this sumptuous seafood is elevated with the addition of the city’s famed Alavar sauce – composed of a secret generational recipe served in the iconic Alavar restaurant in the city. Simmered in coconut milk and minced with garlic and ginger, the curacha is then served with dripping Alavar sauce. Eating it with your bare hands make up for an unforgettable dining experience. A beautiful riot of ingredients comprises a plateful of Pancit batil-patong. 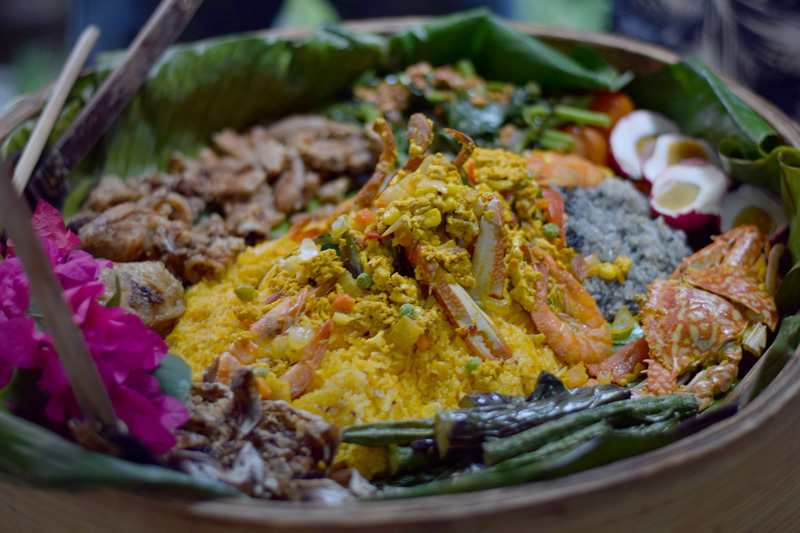 Swarming with colorful ingredients, Pancit Batil-Patong delivers a knockout blend of savory flavor enough to fill and satisfy your appetite to the brim. 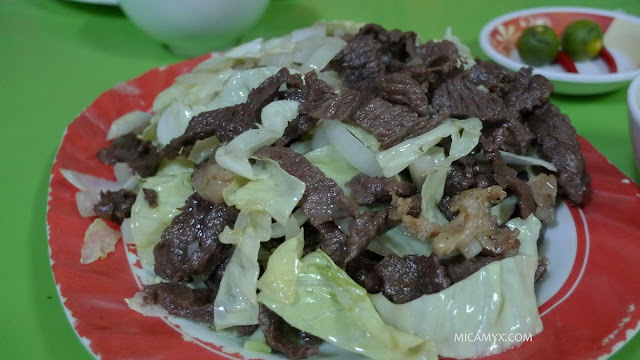 Composed of pansit miki, it is highlighted by minced carabao meat toppings and other vegetables. 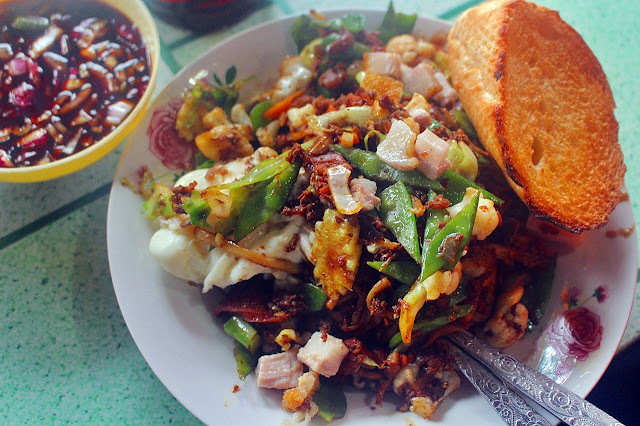 Because ‘Batil patong’ means ‘beating the egg’ in local language, egg and chicharon are then added on top of the already loaded pancit toppings. Sounds like a frenzied combination on a plate, but once you taste it – you will definitely thank the food Gods for it. As a traveler who has ticked-off all 81 Philippine provinces, Mervin Marasigan isn’t new to trying out the vast assortment of Pinoy cuisines. He fondly remembers a Kapampangan specialty called Betute that brims with an exotic taste. “Betute are deep fried farm frogs stuffed with minced pork, garlic and spices. It tastes like chicken, smells clean and the stuffing is quite flavorful. This is definitely a must-try when dining in Pampanga. 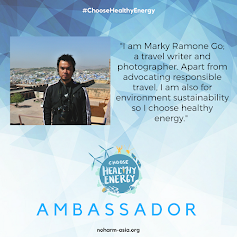 You really have to try it,” he shares. Always with an eye for new sumptuous local food, Christoeffer John Estrada discovered an interesting barbecue with a twist in the island of Bantayan in Cebu. 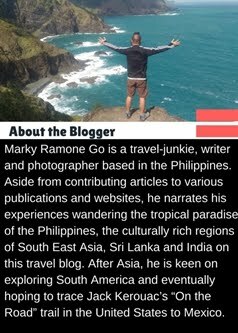 When not busy mapping the Philippines, Maptivist Ervin Malicdem searches the many provinces of the country for interesting local flavors. 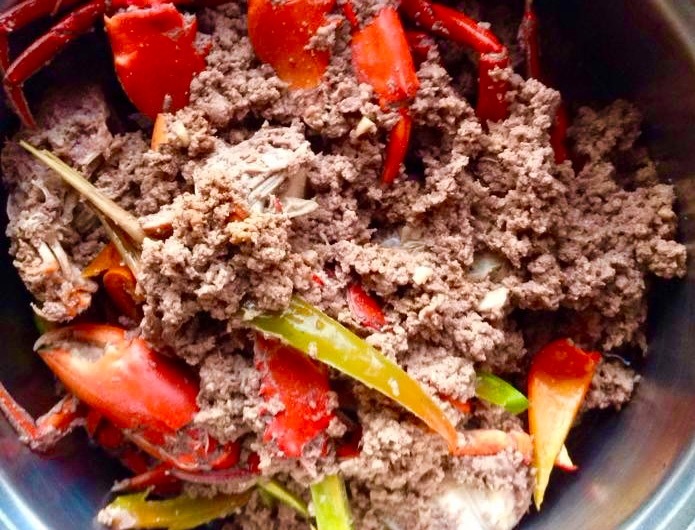 In the Province of Pangasinan, he experienced how Pigar-pigar satisfied his taste buds. 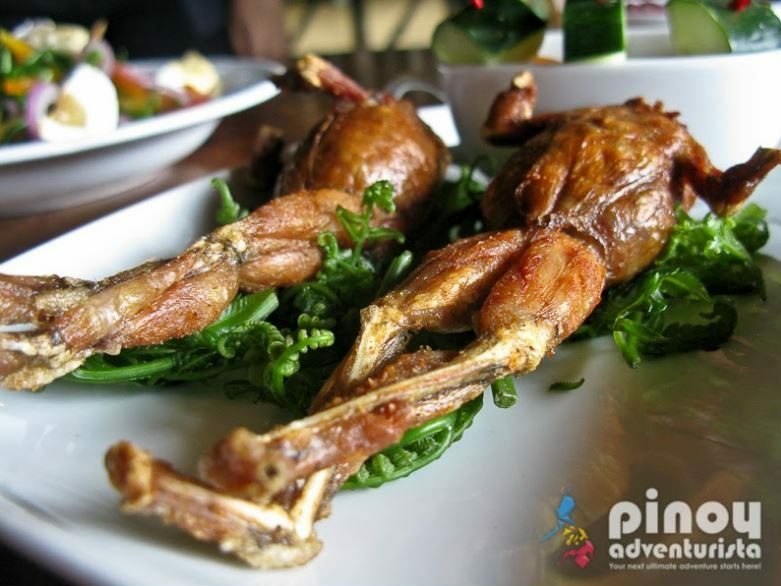 Another travel blogger Christine Rogador, recommends an interesting dish in Quezon. 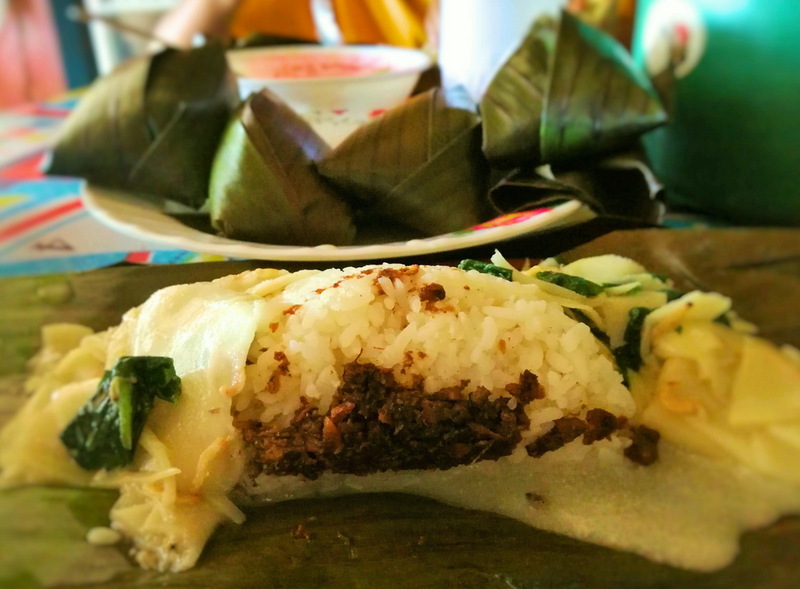 “Sinantol is a delicacy from Quezon province. It is made of Santol meat (wild mangosteen) and seafood in coconut milk. In some areas, people use pork or fish as a replacement for crabs and shrimps. The dish has the right combination of sour, salty, spicy and creamy flavors which makes it unique and appetizing. It is usually paired with fried fish or ginangang isda which is what Quezonians call “paksiw”.” Rogador says. This writer fondly remembers one of the cheapest and satisfying breakfast he ever had after devouring two orders of Pastil at ten pesos each, one morning in Cotabato City a few years ago. 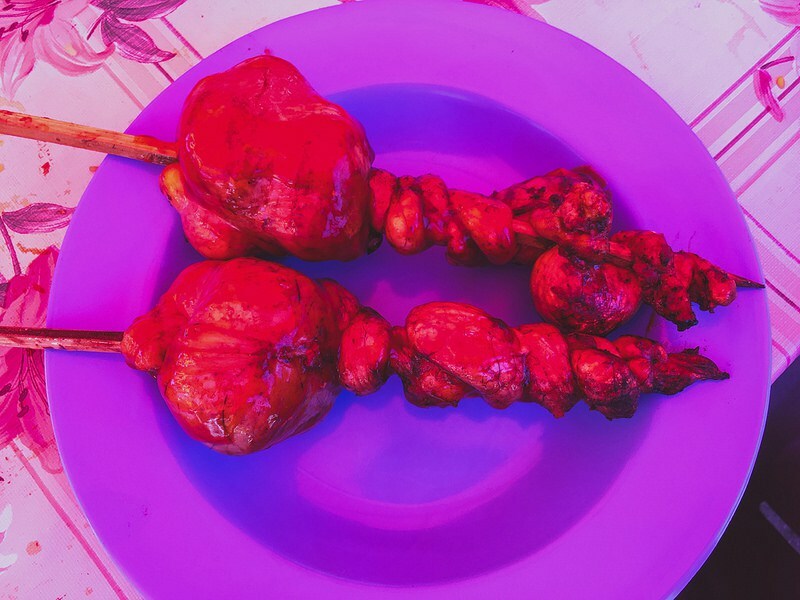 Wordsmith Celine Reyes’ tongue circles in delight as she recollects a time when a plate of Minaluto was served at their dining table in Angono, Rizal. Lawyer slash food blogger Stacy Liong raves about the twin-dishes of Sinanglao and Insarabasab, which are found primarily in the Ilocos region. 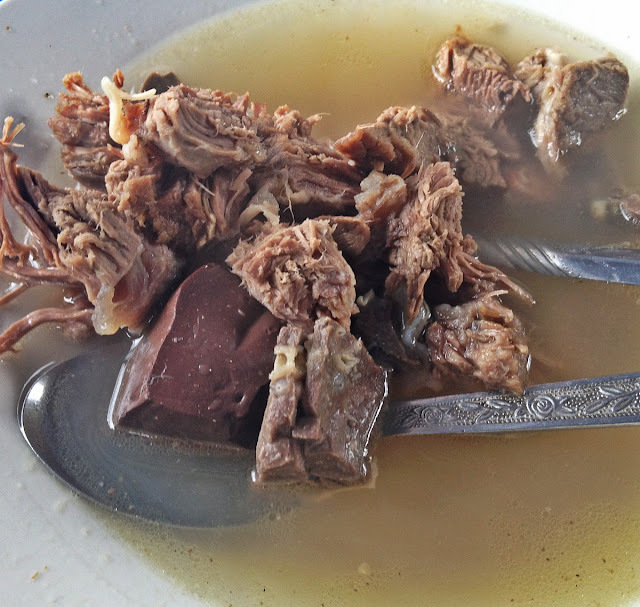 “Sinanglao is a soup dish with beef innards such as tripe, pancreas, kidney, bile, intestine, lungs, heart and blood cubes. It is usually mixed with kamias, onion, garlic, ginger, siling labuyo and fish sauce. Adobo is typically brown in color because soy sauce is used as a main ingredient. 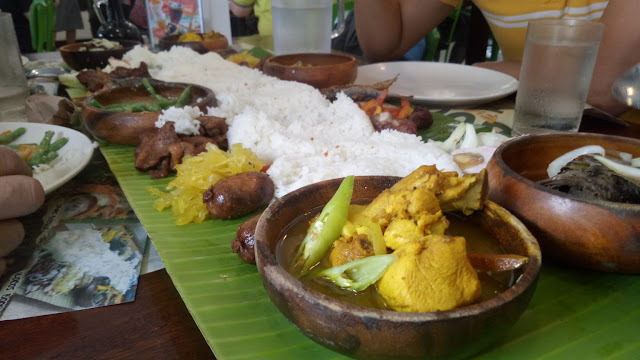 But in the town of Taal in Batangas, they have their own version called the adobong dilaw because of the use of turmeric. It looks like it’s curry because of its color but it is in fact, a different version of adobo. Rappler writer and Travel blogger Claire Madarang recommends an island sweet surprise "Bohol’s calamay is a delicious delicacy that needs some appreciation. Like many dishes, each province or town has their own version of it. 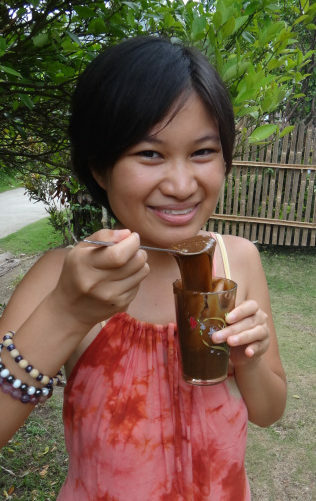 In the town of Jagna in Bohol, calamay is made out of glutinous rice, coconut milk, and brown sugar. Peanut is sometimes added in some versions of this delicacy. It takes several hours of laborious stirring for it to turn into the sweet and sticky Jagna calamay"
These are just a few of the many mouthwatering regional dishes found all over the Philippines. We hope this primer will inspire you to expand your gastronomic adventures in the country. Stay tuned for the next part as we continue our food exploration of the amazing Philippine cuisine.